I must have been ten or eleven when I saw my first Langdon picture. It was Tramp, Tramp, Tramp, shown at a film club at my local high school. 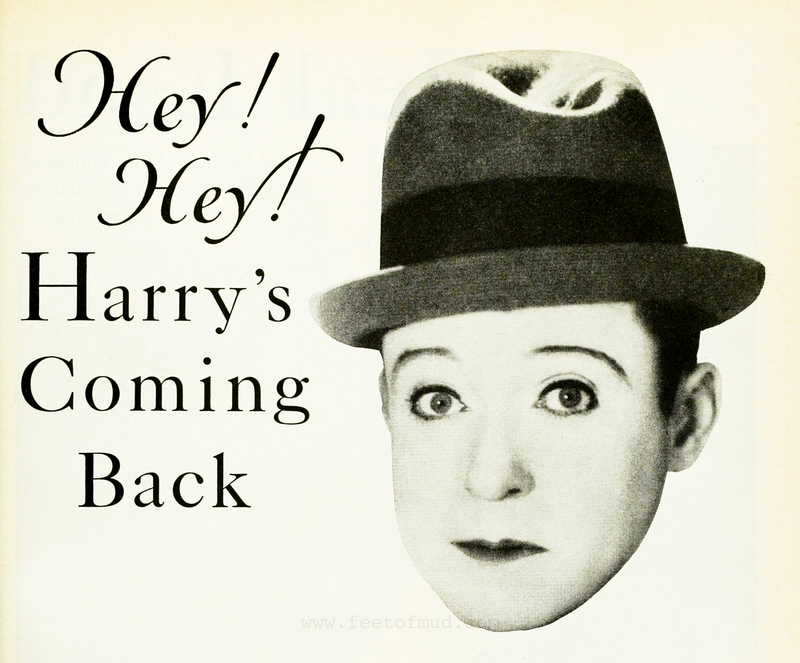 I really liked Harry Langdon, and thought he was hilarious. And, as with Chaplin and Keaton, I wanted to share Langdon’s comedy with others. I bought 8mm prints of Feet of Mud and Saturday Afternoon over the next few years but found I enjoyed them more than my friends and family did. When Bruce Lawton and I started The Silent Clowns Film Series in NYC in 1997, we wanted to show Harry to our audiences. In those first couple of years, a Langdon short would kind of sit there on a program, nestled between crowd-pleasers by Keaton, Chaplin et al. Over the years, this has changed. 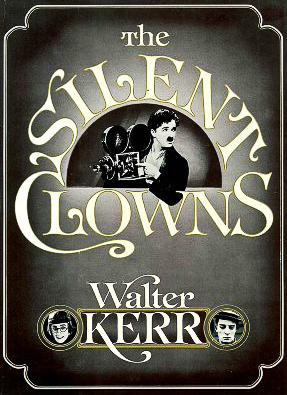 Growing up during the pre-home-video era, I had the unique opportunity to watch silent comedy films at the home of Walter Kerr, author of The Silent Clowns. As anyone who’s read the book knows, Kerr was a big Langdon fan. His love of movies as a youngster coincided with the rise of Langdon’s popularity, and one of the chapters in his book recounts his showing Langdon films in his high school in the late 1920s. Over the years, friends who visited the Kerrs would invariably, after dinner, be treated to a silent film showing in Kerr’s den. Mr. Kerr told me once that whenever he showed people a Langdon film he always ran a Keystone comedy or two first, as a warm-up. I’ve always remembered this remark about showing Langdon to a novice audience, or even a silent film audience already familiar with the genre. Langdon came on the scene in films at a time when audiences were being drawn to comedians whose comedy was more subtle and reaction-based. 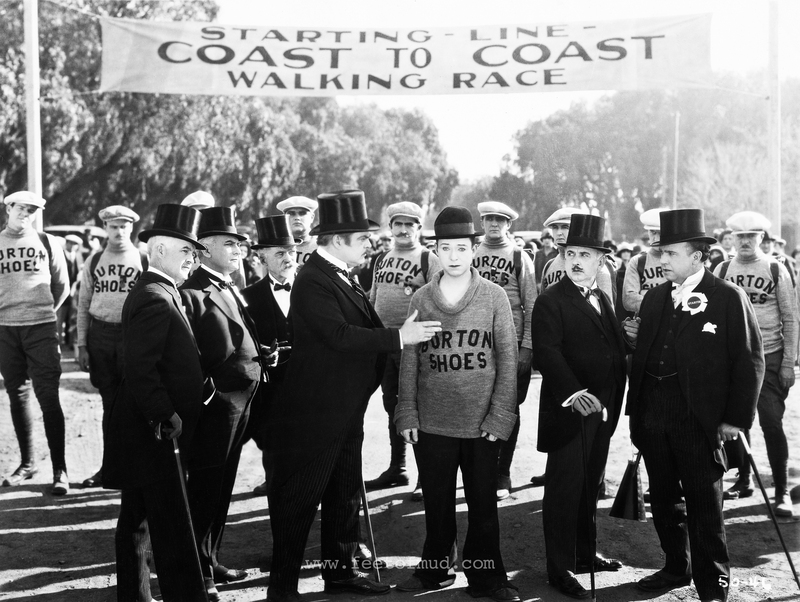 1925 saw the rapid rise in popularity of Langdon, Charley Chase, and Raymond Griffith. At that point, American movie-going audiences had had more than ten straight years of conventional slapstick, and were ready for something completely different. Perhaps this is why the reception (and laughs) Langdon films get at cinephile conventions or when we show them at the Silent Clowns series has improved so much in recent years, and why audiences turn out for programs we’ve presented featuring Charley Chase, Max Davidson, or some of the “forgotten clowns.” People who’ve seen a lot of silent comedy film have been prepped for Langdon’s brand of humor. If you’re looking to introduce Harry Langdon’s unique comedies to an untested audience-friends, a date, your kids-you might want to warm them up with some traditional slapstick first. And keep on sharing silent films with people; it’s your way of participating in film preservation. Perhaps because of my mood, I didn’t feel like watching my old friends.